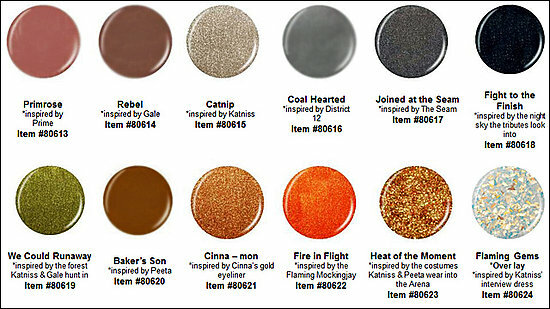 Hunger Games Nail Polish: It's Official!! 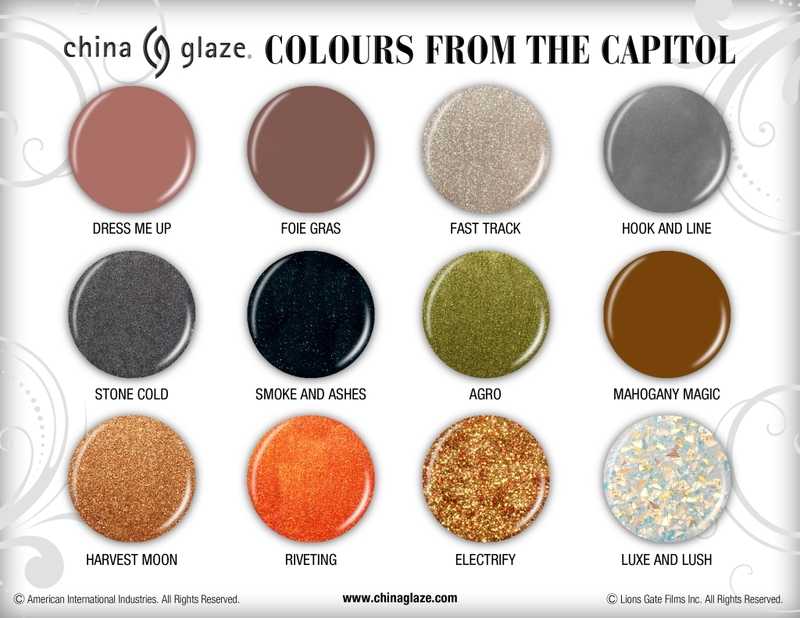 At the time, it was alleged that Lionsgate were suing the company behind China Glaze. However, thanks to the wonders of Facebook, I recently discovered that either Lionsgate have done a u-turn, or the lawsuit was a load of rubbish (I honestly haven't a clue which one it is), and the nail polish collection brought to us through a collaboration between Lionsgate and China Glaze, is very much heading in this direction. Image found on official Facebook page. I know that she's only a fictional character, but you just know that this kind of role would be a dream come true for Effie. And she's the perfect character to use to promote the products. I've seen Effie in official film posters as well as the trailer, from which I was kind of "hmm" about Effie's overall look, but seeing it close-up in this ad, it looks amazing. I particularly love her eyelashes. You can just tell that there has been a lot of creativity with make up for this character. She sort of reminds me of Tim Burton's Red Queen but in a much more subtle and much less severe kind of way. The colours are ultimately the same, but the names are completely different, tot he idea portrayed in the original write-ups, which saw the colours being a symbol of specific things. Now, they appear to have a less obvious, and more general meaning for the film. I'm really glad that they haven't changed the colours, because I honestly think that they all look fab. But, I preferred the original inspirations (spelling mistakes and all) for the colours, because I just felt that they better represented more specific factors and characters in the books/films. Apparently, the polishes will be launched at the beginning of March 2012, presumably to coincide with the launch of the first film in the trilogy, and I can not wait to get my hands on these eeek! Which colours are your favourites? I'm particularly drawn to Electrify as well as Luxe and Lush. 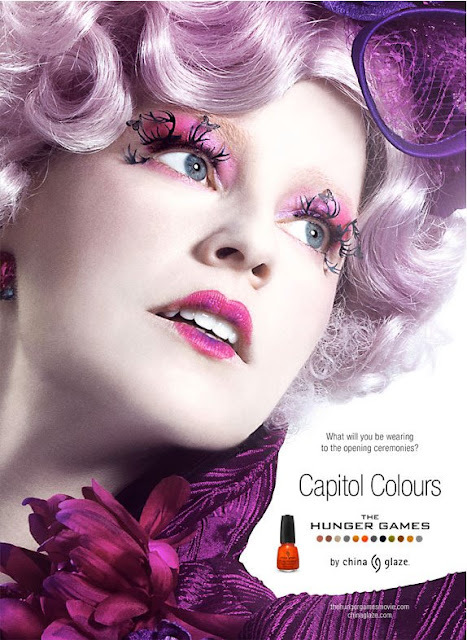 And what do you think of using Effie Trinket to promote this line of nail polish? Corny or perfect?